Remember my blog series on the counter height dining chairs? Well, here’s the next step in the dining room master plan: The table. I spent the last oh, couple years dreaming up the design. I drew up some sketches that aren’t exactly worthy of sharing here, but that have dimensions that I can follow. 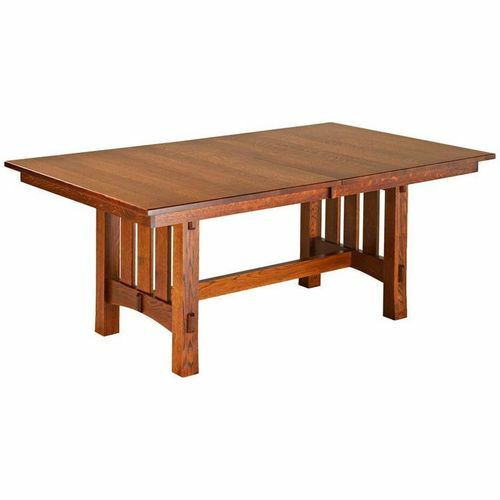 The table will look more or less like this one from Amish Tables.com. Materials will be mostly hickory, and some walnut accents again. They are made from 4 pcs. 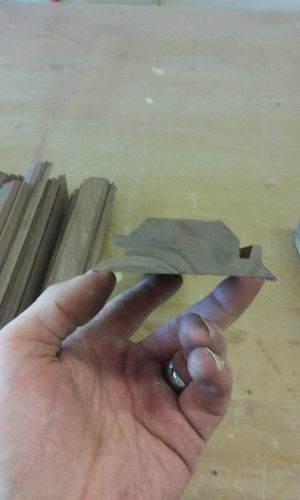 of wood, lock miter joint to fasten them into a square. 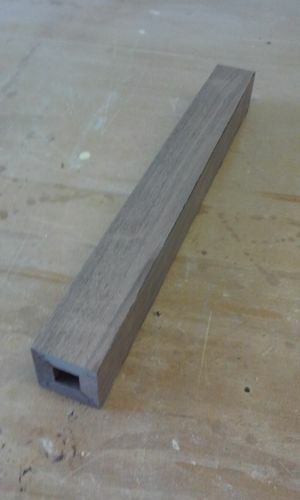 I started cutting tenons on the legs next. They are thru tenons. Next up is the table top. Then I’ll do a post on the frame. 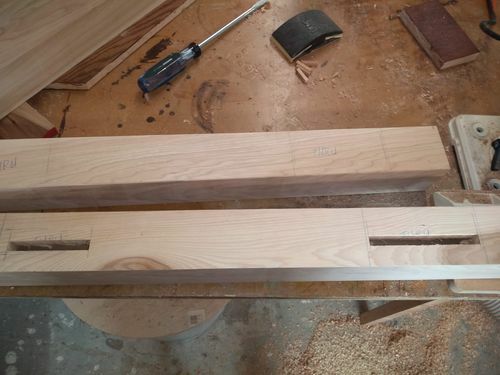 I love the way you did your table legs. I will be using that technique from now on! Starting to like that design, thinking/planning computer desk currently but may have to break down and pick up a power mortiser? I remember the hand chopping on my bench all to well! Was leaning to Cherry but that Hickory looks so good! Might have to do a price comparison, other option are some Birch that I have kicking around. Will be watching your progress. Hickory isn’t bad price. Cheaper than cherry up here in my neck of the woods. Often I can get it for less than $4/BF for 4/4. I like how hard it wears too. Hard to dent hickory! Mortising machine makes life so much easier. I use mine very often. 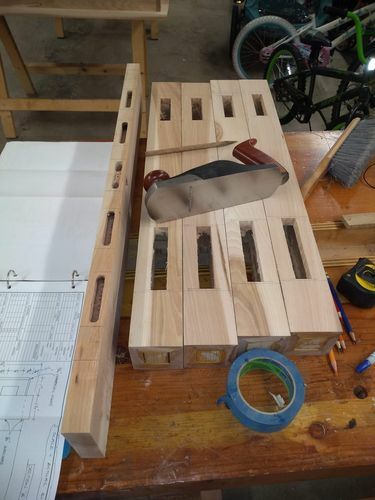 I don’t have a real good router jig for making mortises, so my mortising machine gets lots of work.